It’s finally time fellow Newtype: Gundam Versus is out in the west. 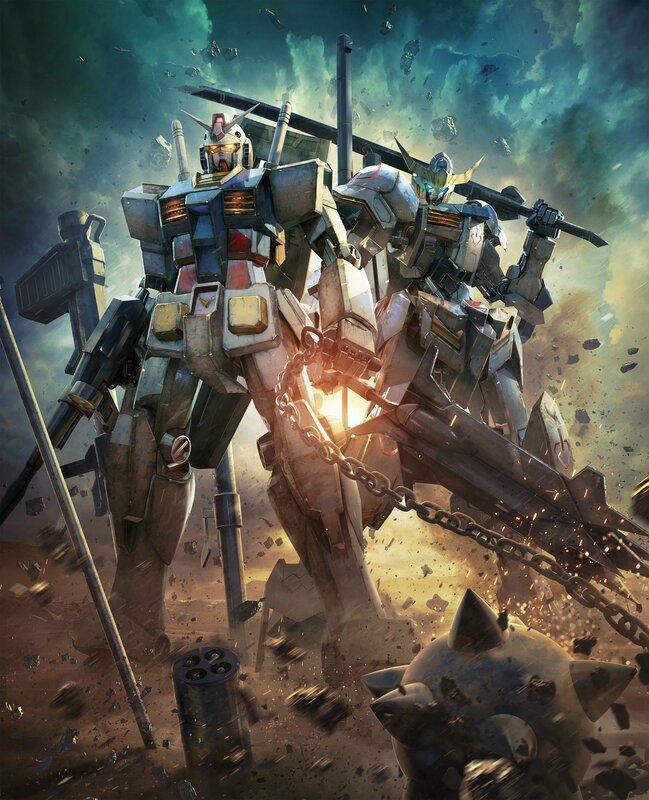 On September 29 the newest iteration of the Gundam VS series is available to those in North America and Europe on the PlayStation 4. The game is a 3D arena fighter focused on both ranged and close-quarters fighting in Gundam’s iconic mobile suits. The player can pilot a plethora of units spanning across the franchise. In total there are suits from seventeen different shows and movies, featuring classics from the likes of Mobile Suit Gundam, Mobile Suit Gundam SEED, and even the showcasing the franchise’s newest series – Mobile Suit Gundam IRON-BLOODED ORPHANS. Long-time fans of the series will feel right at home in Gundam Versus, with the return of its competitive 2v2 mode where players will battle it out to see who the top pilots are online. New to the franchise is a 3v3 mode, hopefully adding a new level of strategy into team compositions and battle plans. The multiplayer portion of the game functions on a point-based system with each team starting with a finite total (in 2v2 for example each team has 1000 available points). When choosing one of the ninety-four (before DLC) mobile suits to pilot at the start of a match, players will notice that each suit is valued at a point total. When a mobile suit is defeated in combat it will subtract its point value from the team’s total – when the total hits zero, that team loses the match. This adds a layer of strategy into picking suits for your team. Do you pick a 200 point suit, like Char’s Zaku II, to add some leeway if you were to die early? Or do you pick a high cost suit, like Gundam Unicorn, which is more powerful but will halve your team’s life total if you go down? In addition to the mobile suit players are also able to select a “striker” (a support vehicle). With over 140 choices to pick from these strikers can range from the basic Earth Federation hover tank, to Gundams like the Astray. As aforementioned, the combat takes place in large 3D arenas based on iconic locations from the Gundam franchise. In Gundam Versus, speed and maneuverability will be key to a good defence. While there is an ability to block attacks like a traditional fighting game, it is less effective because it leaves you stationary in a game heavily focused on mobility. To allow for a more fluid and movement-based defence, the game has added a “Boost Dive” which quickly grounds your mobile suit and allows you to avoid projectiles fired at you while in the air. Along with this change to the movement system, Gundam Versus opts for a more basic two option “Burst” system. The Blazing Gear Burst and Lightning Gear Burst act as “supers,” buffing both you and your team’s close combat attacks, or ranged attacks respectively. The game is currently available on the PlayStation Store for $59.99 USD. If you pre-ordered the game, it comes with three additional Gundams: Barbatos Lupus Rex, Hot Scramble Gundam, and Gundam Virtue. The Hot Scramble Gundam is supposed to be available exclusively for those that pre-ordered the game, unlike the other two which can be also be bought as DLC, however as of writing this article it is listed on the PlayStation Store as FREE so get it while you can! Editor’s Note: It appears as of this evening (September 29) that Hot Scramble has been removed from the online storefront.